A thought-provoking new stop smoking campaign is today unveiled by Fresh with support from the British Lung Foundation to highlight a cruel, lingering disease that destroys the lungs. 'Every breath' aims to highlight the long-term effects of smoking-related chronic obstructive pulmonary disease (COPD), the umbrella term for emphysema and chronic bronchitis, in a bid to encourage more people to quit smoking. Despite the largest drop in smoking in England, the North East still has the worst rate of COPD in the country. Around 8,700 people were diagnosed with the condition in 2008-09, but it is estimated that around 32,000 more people in the North East have the disease but have never been diagnosed. With permission from Sting to use his lyrics, 'Every breath' aims to show how COPD is a progressive disease and challenges the assumption among most smokers that being short of breath is normal. A survey of smokers in the North East found that 67% weren't even aware of COPD or the debilitating effect on people's lives. Ailsa Rutter, director of Fresh, said: "The North East has the highest rate of COPD in the whole of England. COPD stops people from being able to breathe properly – they feel like they are suffocating. This campaign is a UK first - the North East is the first region in the whole of the country to use COPD in a stop smoking campaign - and the fact that we are leading the way on this is certainly something to be proud of. COPD is the UK's fifth biggest killer, killing more people than breast, bowel or prostate cancer every year. Eighty per cent of cases are caused by smoking and the symptoms of COPD are often presumed to be the 'normal' side effects of being a smoker - i.e. breathlessness and a 'smoker's cough'. Because it is a disease which affects breathing, it is the second biggest cause of emergency admissions to hospital and costs the NHS an estimated £491m every year. Dr Chris Stenton, Consultant Respiratory Physician with Northumbria Healthcare NHS Trust, based at the Royal Victoria Hospital, said: "COPD is a disease mainly caused by smoking. Unfortunately it is a disease many smokers don't know much about until they are diagnosed. It can be a cruel disease but its worst ravages can be prevented by quitting smoking early enough. More awareness and education can only be a good thing. "A person with COPD will experience a much more rapid and severe decline in the function of their lungs, which will make daily life seem a struggle. Tasks that they previously took for granted such as walking upstairs, washing or shopping become tremendously hard work. "For anyone who smokes, is in their mid to late 30s or older and is experiencing shortness of breath it is likely they are experiencing COPD in the early stages. At that point it is vital to stop smoking now before things get worse. "Many COPD patients do find stopping smoking and treatment can really help their quality of life, but unfortunately we do not have any treatments that stop COPD getting worse or reverse the damage already sustained. The only way to stop the deterioration in lung function is to stop smoking." As well as a team of medical experts throughout the region, FRESH has partnered with the British Lung Foundation to help raise awareness of COPD. 'Every breath' also has the backing of musician Sting, who is originally from the North East. Sting said: "Many people across the UK are affected by lung damage and other smoking related illnesses, particularly in the North East where I grew up. I'm pleased to support a programme which works towards giving people the motivation and support they need to quit." Ailsa Rutter continued: "FRESH is extremely grateful to Sting for giving permission for his lyrics to be used in support of our campaign, to the British Lung Foundation, medical experts across the North East and to real people who live with the horrible effects of COPD every day for stepping forward to help highlight the long-term effects in a bid to encourage other smokers to quit before it's too late. "Quitting smoking is the best thing anyone can do for their health and people in their 30s and 40s mustn't ignore the early warning signs of COPD, such as breathlessness. Anyone who would like to quit smoking should contact the NHS Smokefree Helpline on 0800 011612, or text FRESH and their postcode to 88088, they can also visit http://www.freshne.com/everybreath/ or make an appointment to see their GP." Why should the hard earned taxes of sensible healthy people be used to treat irresponsible people who electively decide to ruin their health by inhaling smoke into their bodies. Smokers should be made to take out private health insurance to pay for their inevitable treatment. I always discuss the terrible risks and guaranteed diseases that will ultimately suffer from if they choose to smoke. 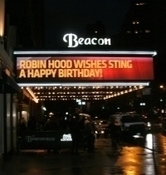 Thanks Sting for driving the message home, too.